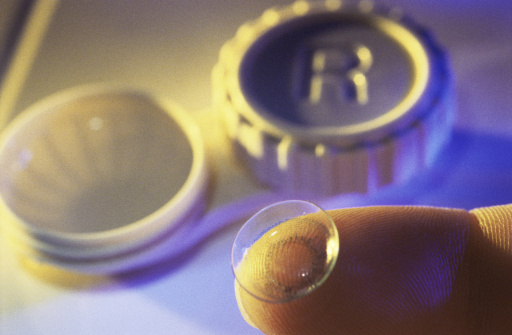 If you wear contact lenses, there’s a good chance you’re doing something wrong. The Centers for Disease Control and Prevention (CDC) has released a new report showing that almost all Americans (99%) who wear contacts are guilty of making at least one mistake that can be deemed “contact lens hygiene behavior,” and that is known for increasing the likelihood of getting an eye infection or developing inflammation. Based on a survey of 1,000 respondents who wear contacts, at least half have slept with their contact lenses in overnight, 87% have napped while wearing contacts, 55% admit to just topping off their disinfectant solution in the case instead of emptying and cleaning it out first, and about 50% report pushing the replacement of their contacts well past the recommended time period. These are just a few of the common behaviors that can lead to compromised eye health. Of particular concern to experts is the astonishing number of people whose contacts come in contact with water. For instance, the survey showed that almost 85% have showered with their lenses in and 61% have swam with them in. Among very regular wearers, a whopping 91% of regular wearers have rinsed their contacts with water and over a third (33%) have stored their contacts in tap water. The problem is that microorganisms living in the water can be transferred to the contact lens and then to the eye, which can lead to a higher risk of infection. Even ordinary tap water that’s safe for drinking contains potentially dangerous microorganisms for your eyes. The CDC also reports that almost a third of people who wear contact lenses have visited their doctor complaining of redness or pain in the eye as a result of their contacts. With almost 41 million adults in the U.S. wearing contact lenses, that’s a high number of Americans who are putting themselves at risk for severe eye infections. The CDC is advising that contact lenses be kept away from water and cleaned with fresh disinfecting solution every day. Contact wearers should also replace the case for their contact lenses every three months. Cope, J.R., et al., “Contact Lens Wearer Demographics and Risk Behaviors for Contact Lens-Related Eye Infections – United States, 2014,” Centers for Disease Control and Prevention web site, August 21, 2015; http://www.cdc.gov/mmwr/preview/mmwrhtml/mm6432a2.htm.